Prime Day is just seven days away, but that doesn't prevent Amazon from running some early deals on some of its products and services. The newest deal that Amazon Prime members can take advantage of is aimed at music lovers. 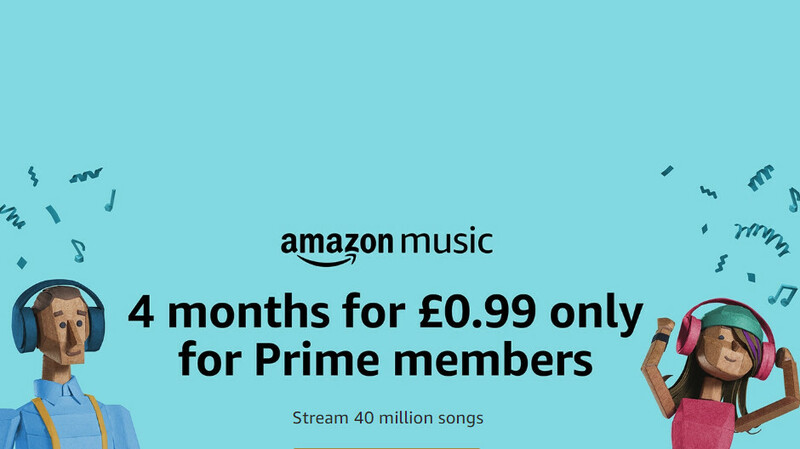 If you're a Prime member you can now grab 4 months of Amazon Music Unlimited for just $0.99 per month, although the music streaming service is usually available for $9.99/month. The deal is available in the United States and the UK, where Amazon Prime member can get it for £0.99 per month. At the moment, Amazon Music Unlimited offers subscribers access to more than 40 million songs, as well as ad-free streaming. The service works on Android and iOS platforms, but it can also be used with Amazon Echo and other similar products. Keep in mind that after the 4-month deal, the subscription will revert to full price, so you'll have to pay $9.99 each month. Also, Amazon offers a family plan for $14.99 per month where up to 6 members can use the music streaming service. I thought if you were a Prime Member the service normally costs $7.99/month. If i'm not mistaken, I believe the special price doesn't actually start until prime day.